Sahaja Wellness - Naturopathy and Ayurveda: What's the Craze with Coconuts ?! What's the Craze with Coconuts ?! If you grew up in a tropical country (or if you were lucky enough to grow up in a country without cold winters!) coconuts were probably no big deal. They grow everywhere, they are used in cooking - from drinks to desserts to curries. 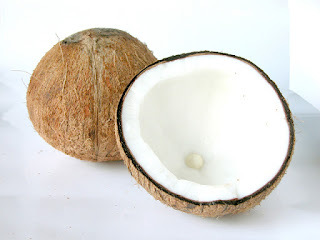 In North America, if you didn't grow up from a tradition where coconut was used, you probably enjoyed coconut as a delicacy - as shredded coconut dusted on cakes, or as an ice cream flavour, or in an exotic Thai curry. However, in the past 5-10 years in North America, the coconut craze has kicked in with coconut-products catching your eye no matter where you are. It seems like coconuts are becoming a one-stop meal from coconut "meat" to coconut water to coconut sugar. You can eat it hot, you can eat it cold, you can enjoy roasted or raw. The coconut's versatility has helped it's popularity rise. Did you know that coconuts are being used for the following? If you love coconut, this might be great news ! If you don't, it seems like it's getting harder and harder to avoid ! So what's the big deal about coconut? Isn't it rich in fat that will clog your arteries? While coconut may be an over-marketed miracle food, and while you may not want to substitute everything with coconut, there are certainly several amazing benefits to consider. Coconuts are cooling in nature. In Ayurveda, coconuts are beneficial for Pitta types as they have cooling properties. Coconut water is rich in electrolytes to help hydrate you in summer heat and works as a natural electrolyte drink alternative. 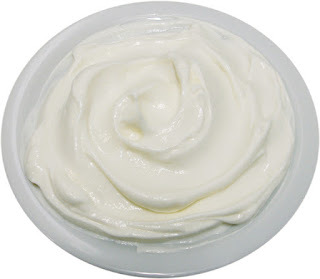 Coconut oil has amazing anti-viral & anti-fungal properties due to the presence of lauric acid. It is rich in MCT oil (medium-chain triglyceride oil) claimed by many companies to help you burn fat, and support the brain & nervous system. What's best for my constitution? If you have a Kapha constitution, coconuts are generally not advised on a regular basis as they are cooling and heavy. Individuals with a Vata constitution can general enjoy coconuts in the summer, but best to avoid in the winter due to the cooling properties. Modifications for Vatas can include cooking coconut and adding warming spices such as cinnamon or ginger to neutralize their cooling effect in the body. Pitta types generally tolerate coconut products well. While coconut has saturated fats, these are naturally occurring fats which are healthy in moderation versus hydrogenated vegetable oils such as margarine. However, if you have specific health concerns such as cholesterol or weight gain, it is always best to work with a practitioner rather than self-prescribing high doses of coconut products. Too much of a good thing may not be good so moderation is key. Try something new - experiment with coconut recipes this summer and let use know what you think ! One of my favourite dairy-free, probiotic-rich coconut yogourt recipes ! If you want to know more about your Ayurvedic constitution and what kinds of foods are best for you, contact Dr. Leena Athparia, ND for more on naturopathic medicine & Ayurveda. To book an appointment, contact Naturopathic Foundations at 905-940-2727 (Markham) or Yuri's Village at 416-466-5773 (Danforth). A complimentary 15 min meet n greet is available to learn more how Naturopathy and Ayurveda can help you.